When I think about the construction of cathedrals and the carving of gargoyles, I tend to think about work done centuries ago. But construction of the Washington National Cathedral didn't begin until 1910, and wasn't fully completed until 1990. 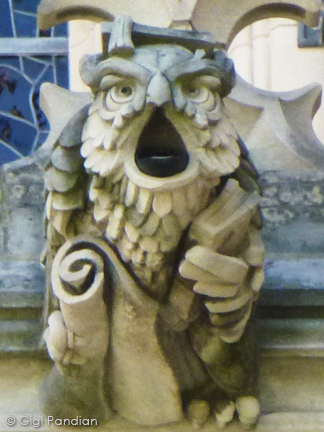 The first gargoyle on the cathedral was carved in 1960. 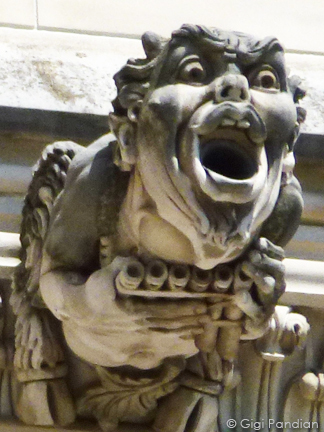 There are 112 gargoyles on this cathedral, and over 1,000 grotesques (carved ornaments that often look like gargoyles but don't have rain spouts). 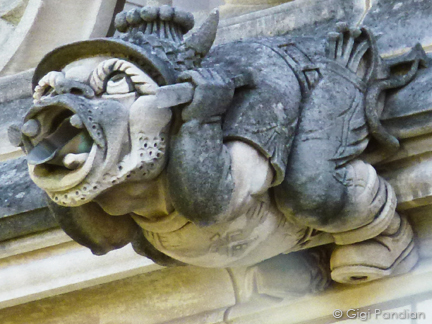 I spent over an hour walking around the site, but only saw a fraction of the gargoyles. 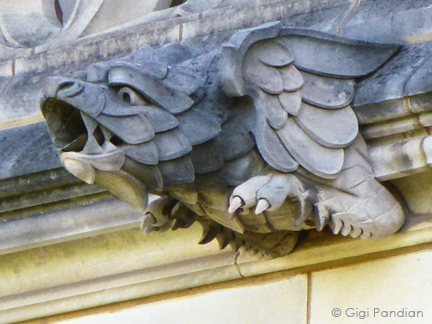 The gargoyles are perched on three levels, and only the carvings on the lowest level are easy to see clearly. A large crew of artists and stone carvers were required to complete the ambitious project. In addition to skilled craftsmen, twelve apprentices worked on the carvings. In 1959, a competition was held for members of the public to submit gargoyle designs. Several designs from the public were chosen for inclusion the cathedral. 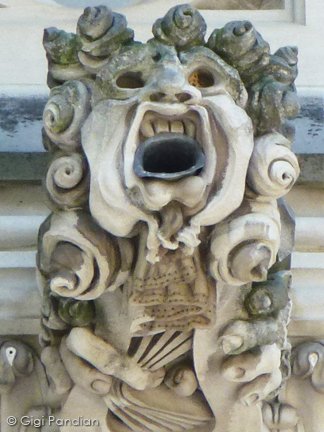 The final gargoyles and grotesques are the work of dozens of professional and amateur artists and carvers. This last photograph here is the image of a stone carver holding his mallet and chisel. 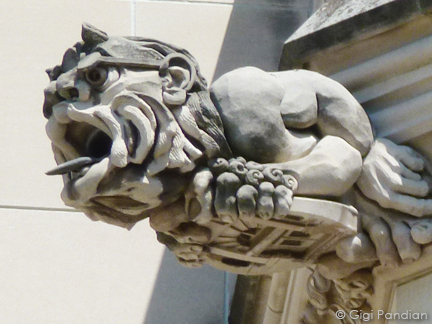 This gargoyle was made in honor of "master carver" Roger Morigi, who was the head stone carver on the project. 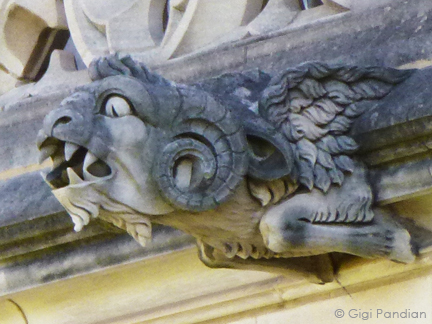 For further details about the gargoyles of the Washington National Cathedral, I recommend the comprehensive Guide to Gargoyles and Other Grotesques: Washington National Cathedral Guidebooks by Wendy True Gasch. 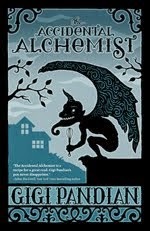 I actually didn't know there was a term for gargoyles without rain spouts, or that there was a difference. Thank you for educating me!